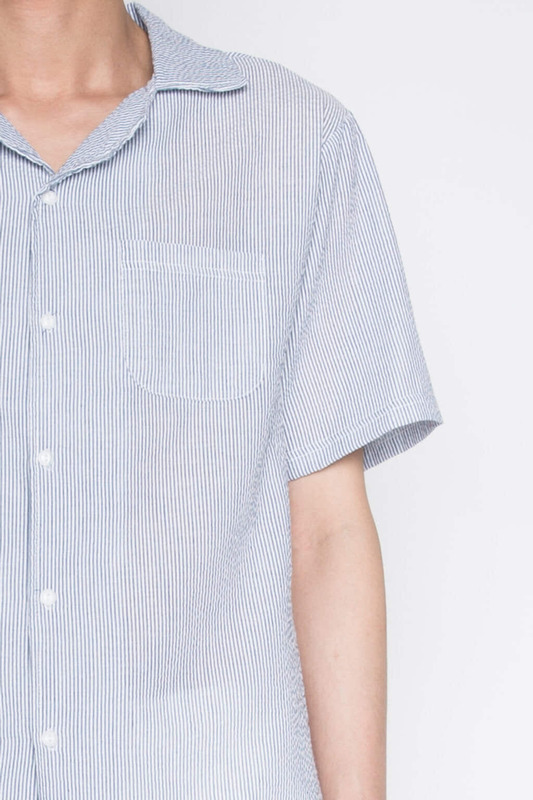 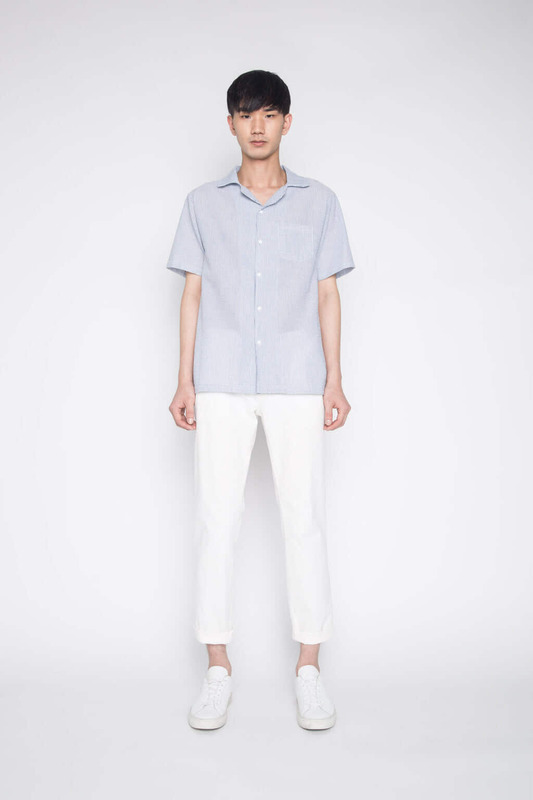 This seersucker shirt features short sleeves, a front pocket, and a notch lapel collar with white and navy vertical stripes for a classic look with subtle retro vibes. 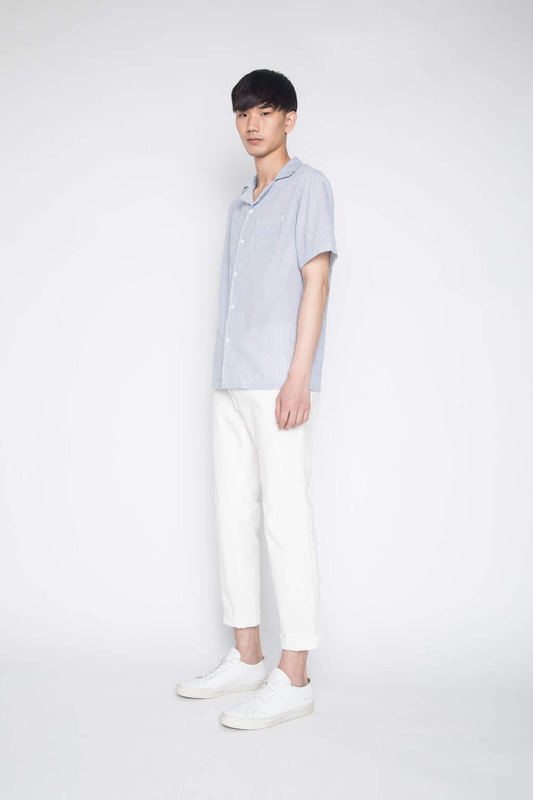 The relaxed fit and lightweight material will keep you cool and comfortable during the warmer weather. 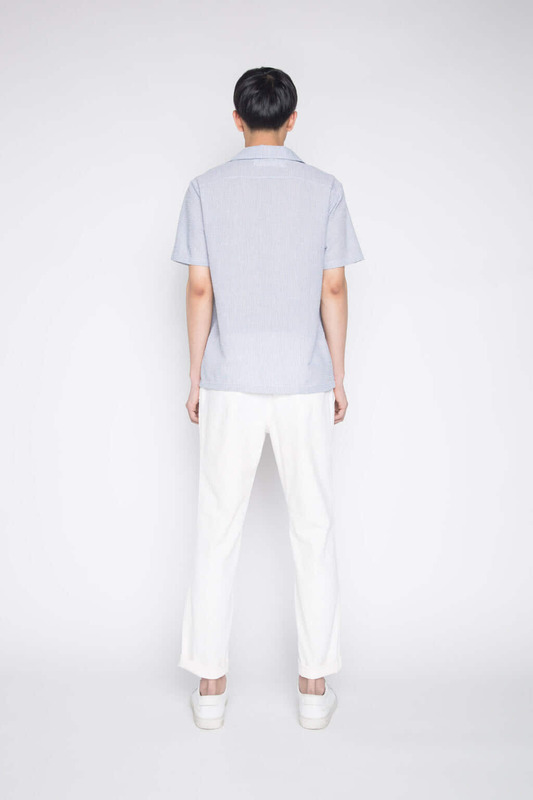 Pair with trousers and a sneakers for a refined yet casual look.